Researchers at Texas Biomedical Research Institute in San Antonio have been awarded a $2 million dollar contract by the makers of ZMapp, Mapp Biopharmaceutical, Inc., to further test this promising new therapeutic for Ebola virus disease. ZMapp was evaluated in a clinical trial in humans during that 2013-2016 Ebola virus outbreak. Although the outbreak ended before the trial could be completed, the study gave a 91 percent probability that ZMapp was superior to standard of care in preventing mortality. 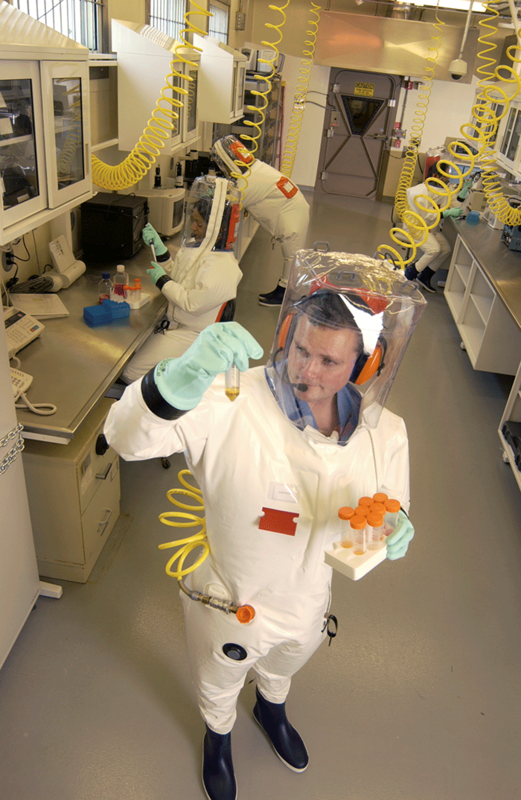 Texas Biomed is the only private biomedical research institute in the world with both a National Primate Research Center and a Level 4 Biosafety Laboratory. Texas Biomed bid to use non-human primates to help determine the effectiveness of this experimental Ebola treatment. Well-regulated, controlled studies involving animals are critical to licensure of the new therapy by the Food and Drug Administration (FDA). These ZMapp studies are being funded by a Project BioShield contract issued by the Biomedical Advanced Research and Development Authority (BARDA) within the Office of the Assistant Secretary for Preparedness and Response in the U.S. Department of Health and Human Services. If approved for use, ZMapp could become part of the Strategic National Stockpile (SNS), a repository of vaccines, therapies, antidotes, antitoxins and various other medical countermeasures for use in a public health emergency. Preparations for ZMapp testing are currently under way at Texas Biomed. The study will be in full swing by late 2018.